Abies concolor 'Vanilla Ice' initially puts out as pale yellow new growth fading to cream in bright sun. 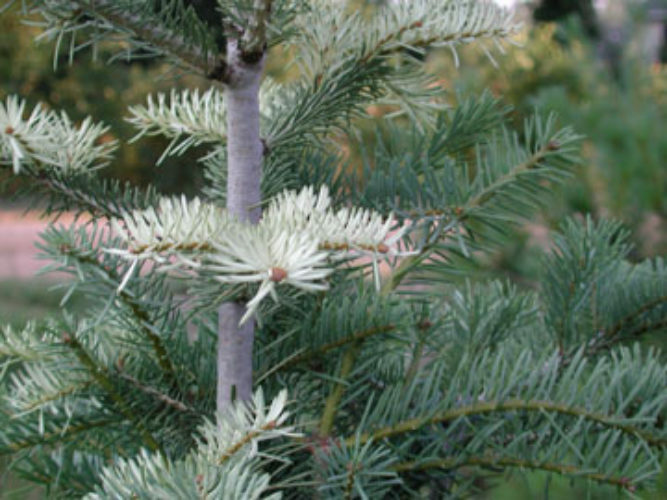 The cream color slowly begins to acquire a pale green coloration around the tips and edges of the needles slowly turning a pale grey green until fully this color. Abies concolor 'Vanilla Ice' Photo taken 7/15/02.